The best natural pest control is prevention. When that fails, do you really want to use a poisonous product that will stay in the tissue of your plants and kill your beneficial micro-organisms? I love SM-90 for a foliar spray, but it will kill some of your beneficial micro-organisms if you use it to water your plants. When you find you have a bug problem, pest identification will help you prevent my bug woes. A recent thrip problem has proven to me the importance of treating the soil when a pest infestation occurs. Thrips, fungus gnats, and even some mites all spend part of their life cycle in the soil. While I still spray my plants with SM90 (or BANG! ), I have also begun to water some predatory nematodes into my soil grown plants to kill thrip and fungus gnat larvae living in the soil. 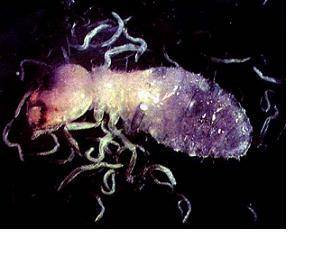 Predatory nematodes are beneficial micro-organisms. They eat harmful organisms that live in your soil and cause disease. Compost and bat guano are both excellent sources of beneficial nematodes....using compost or fertilizing your plants with compost tea are great ways to make sure you have plenty of these beneficial micro-organisms in your garden. Neem oil can be substituted for SM-90 when spraying leaves for mites or thrips. You still want to treat the soil (in addition to treating the leaves) in the case of fungus gnats. If I have a problem in the future, I also plan to dust my plants with a little diatomaceous earth between different spray applications. If all else fails, I recommend trying a hot pepper/garlic spray called BANG!....I find that it works very well, is completely safe to use, and plants handle repeated applications with no bad side effects. Very large gardens should consider integrated pest management. You should never spray anything on your plants while they are directly under high intensity lights or in the full sun. Spray applications generally stress plants out a little bit. The best approach is to raise your grow lights two or three feet so you can apply the spray, then give the garden a few hours to dry out and adjust to the spray application before you lower the lights again. Always read the directions for the products you are using. Mites and thrips prefer dry conditions. On days you do not treat your plants, be sure to mist them heavily with plain water. You will slow down the bugs, rinse any built up residue from the plant leaves, and the plants just like it. If you have a decent size garden, do yourself a favor and get a good pump-action spray bottle....using a crappy old Windex bottle that barely squirts will just drive you crazy! When you have a heavy infestation, sections of plant with lots of mites, webbing, or damage should be cut away from the healthy part of the plant and removed from the garden before attempting spray applications. Problems with thrips and fungus gnats do not usually require pruning (but sometimes do). A pair of spring-loaded scissors really saves your hands when you have a lot of trimming to do. 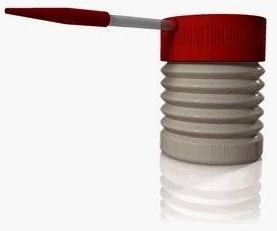 A product called SM-90 is my personal favorite for natural pest control. It is citrus based and works well against mites, thrips, and fungus gnats (on leaves and in the soil). It also works in the soil against fungus and bacteria. Mix according to the directions and spray 80 percent under the leaves and 20 percent on top. Repeat every 3 days, up to 3 times. You can use this up to the week before harvest, but make sure to wash any residue off the plants with heavy misting. 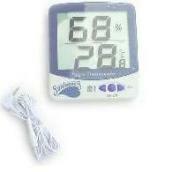 You can also use SM-90 each time you water your plants, to kill the insect pests living in your soil. Unfortunately, if you are growing organically, it will also kill some of your beneficial micro-organisms. If you are using a hydroponic system, keeping SM-90 in your nutrient reservoir at 2-3 ml/gallon keeps fungus (and fungus gnats) at bay. Another option for natural pest control is neem oil, such as Einstein Oil or K-Neem. Mix it up fresh before each use, and spray 80 percent under the leaves and 20 percent on top. In India, you can find neem oil in their toothpaste, shampoo, soap, and many other cosmetic and personal hygiene products. It is safe to use up to the week of harvest. Check the directions before using, but you normally use 3 applications about 7 days apart. Raise your lights when you apply neem oil! I found out the hard way neem does not work on thrips, but it is effective against mites and fungus gnats. There is no more natural pest control than this. Predatory nematodes are beneficial, microscopic organisms. They cost about 20 dollars for a little sponge that (they say) holds a million beneficial nematodes. You simply soak the sponge in room temperature water, and either water it into your plants or use it in your hydroponic nutrient reservoir. The nematodes will roam through your soil killing thrip, gnat, and mite larvae. If you go this route, I recommend you pay the extra money for next day shipping to protect your living mail. Also known as silica dioxide, diatomaceous earth looks like a bunch of broken glass at a microscopic level . To use this natural pest control method, all you do is coat a feather duster with some and lightly dust all the leaves of your plants (especially the undersides!). Do not breathe the dust! The goal is a fine, even layer on all the plant surfaces. A cheap duster tool like the one above applies the diatomaceous earth more evenly and more thoroughly to the plant surface (and it's really fun to use). 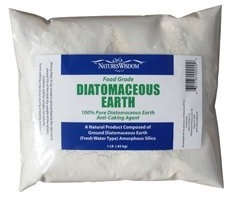 It is perfectly safe to use diatomaceous earth right up to the day of harvest. As little insects crawl and bite into your plants, they are cutting themselves to death. The action is physical, so pests cannot develop a tolerance to it. Reapply whenever the plants are dry, in between different spray applications. A homemade solution of a few crushed cloves of garlic soaked overnight in a liter of water is supposed to provide natural pest control. The same is true with a few hot peppers chopped and soaked in a liter of water. BANG! is made of both. This product is particularly effective when used in combination with the other strategies on this page. You can use it over and over and over again on your plants without any bad side effects. Integrated pest management (IPM) is when you use the power of mother nature against herself, one beneficial organism against one garden pest. It is a very safe and natural pest control method. Using predatory nematodes is one example of integrated pest management. Because they (nematodes) are microscopic and do not migrate from their container, this is an easy method for a small gardener to use. Beneficial nematodes can be added by using compost, bat guano, worm castings, or nutrient tea made from these ingredients. Different beneficial insects can be attracted into a garden area by planting certain beneficial plants. Marigolds are one such beneficial plant. 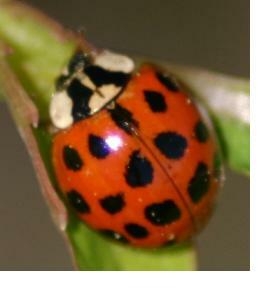 Integrated pest management also takes place at large commercial greenhouses, where the square footage of the garden area is used to estimate pest populations, and targeted releases of beneficial insects (such as ladybugs, praying mantis, or predatory wasps) take place to combat very specific anticipated problems in advance.